It was no secret that Alexis Sanchez was open to a move away from North London this summer, but Arsenal's stance was consistent. He would not be sold, he would stay and respect his contract. "My decision is clear," said Arsene Wenger in early August. "He will stay and he will respect that." He might not have liked it, but you could see how he would have respected it. He wasn't being allowed to leave because he was so important, his 30 goals and 14 assists making him the team's most productive player, and his stature at Arsenal reflected that. It was also easy to see Wenger's reasoning behind it. With less than 12 months left on his contract, Arsenal would not have got real market value for a player of his talent. And with prices skyrocketing throughout the off-season the chance of replacing him with anyone who could even come close to producing what he did would have been an onerous task, to say the least. It wasn't an ideal situation, but it's one that many football clubs have dealt with in the past, and if Arsenal had added to the squad sufficiently and made the team more competitive, Sanchez could have enjoyed his final season. There was even the possibility that he, like Luis Suarez at Liverpool, might have been tempted into signing a new deal, giving him a significant pay rise on the understanding that he'd be allowed to leave at the right price – meaning both player and club would benefit financially. However, in the final days of the transfer window Arsenal revealed themselves to be an institution without much of a backbone. They rowed back on their strident, consistent message about keeping their star man, and opened up lines of communication with Man City. They proposed a player-swap deal involving Raheem Sterling, which City rejected, but it was obvious at that point they were open to selling Sanchez. A £60m deadline day bid was accepted, the player and his representatives thought everything was done and dusted, but when the Gunners failed to sign Thomas Lemar they had no option but to keep him. While City have to take some share of the blame by not making a substantial bid earlier, they had been told all along he was not for sale. It was only when Arsenal gave them the green light that they got it together, but it all happened too late from both sides, and now Wenger has a real mess on his hands. Instead of having a player slightly disgruntled about not being allowed to leave in the summer, he's got one who is reportedly distraught and furious about having a move taken away from him at the last minute. They opened the door for him to go, then slammed it in his face before he'd gone through it. Like many aspects of their transfer business, it was shambolic, and entirely of their own making. The last minute change of heart, whatever their rationale behind it, was destructive and damaging. They've created a huge problem with their best player, and it's not as if they don't have enough to deal with anyway. The limp, passive performance on the pitch at Anfield last Sunday was reflective of the club's culture right now. Three games into the new season and there were players who could barely be bothered to go through the motions. Any objective observer would say it was a display that has all the hallmarks of a manager who has 'lost the dressing room', and now Wenger and his hapless board have made it more difficult to find. If Arsenal were willing to sell Alexis Sanchez, they should have done it earlier in the summer. Make a decision, even if it's an unpopular one, and be decisive. Use the money to bring in a player or two who can add some quality to the team in his absence. But to insist all summer that they would keep him, and under no circumstances let him go, then change their minds at the last minute reflects so badly on Wenger and the club. The Frenchman, despite what people think, is not the greatest man manager around. He does not deal well with conflict, and there's little doubt that's exactly what he's got on his hands right now with Sanchez. The Chilean is a professional, and someone who always wants to win, so out on the pitch he'll do his best, but anyone who has watched him will know he's an emotional man too Public demonstrations of his unhappiness are obvious, even in relatively good times. Quite how he's going to behave after this is anybody's guess. 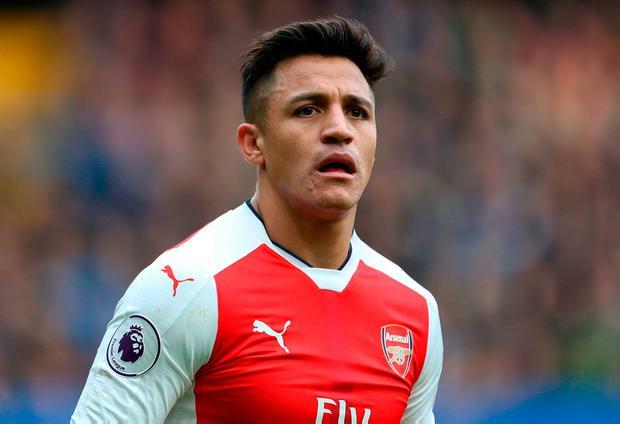 Initially, Arsenal took an honourable, admirable stance on Sanchez, but their submissive nature and inability to remain consist to themselves means they've made a bad situation much, much worse. Premier League transfer rankings: Who were the big winners and losers from record-breaking window? Who enjoyed the best transfer window and who will want to forget it? Sean Taylor Arsenal's away form remains their Achilles heel in their challenge for a top-four finish in the Premier League after they were put to the sword by Wolves.